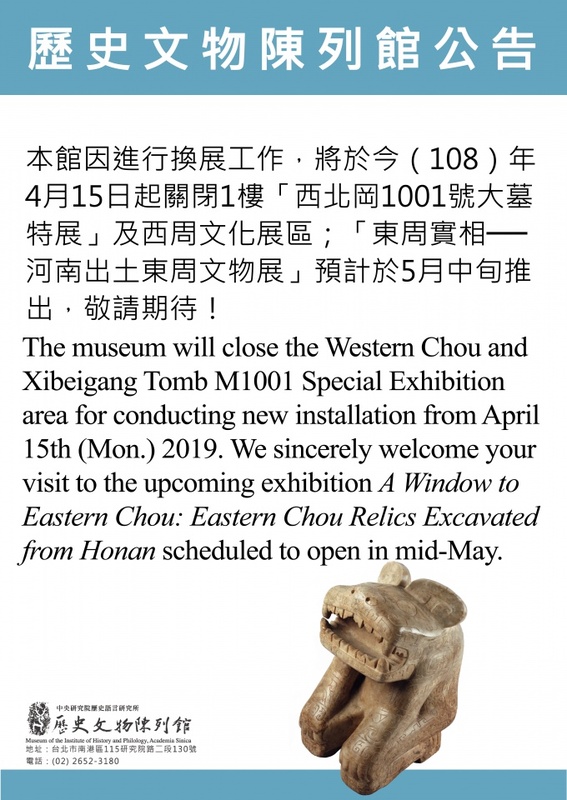 The museum will close the Western Chou and Xibeigang Tomb M1001 Special Exhibition area for conducting new installation from April 15th (Mon.) 2019. We sincerely welcome your visit to the upcoming exhibition A Window to Eastern Chou: Eastern Chou Relics Excavated from Honan scheduled to open in mid-May.